The race to build the first exascale supercomputer is on. 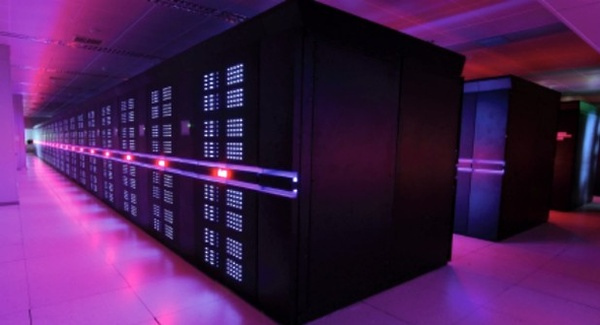 One of China’s supercomputers, Tianhe-2, just received a major upgrade, nearly doubling its power. An announcement from the head of Matsuoka Lab, Satoshi Matsuoka, was made during the International HPC Forum (IHPCF) via a series of tweets. The upgraded computer now performs at a staggering 94.97 petaflops, or 949.7 trillion calculations per second, compared to its previous peak performance of 54.9 petaflops. The upgrade came from replacing coprocessor chips installed in 2013 and replacing them with domestic chips. The 2013 installation used chips developed by Intel, called Knights Corner Xeon Phi coprocessors, and the original plan was to upgrade the system with upgraded Intel chips. However, the United States issued an embargo blocking the export of these chips to specific supercomputing sites, including the home of the Tianhe-2. In response, China was forced to begin building their own chips. They succeeded in matching the power of the Intel chips with the Matrix-2000 GPDSP accelerators. There is a major race for nations to expand their supercomputing power to the exascale (1,000,000,000,000,000 calculations per second). Right now, China holds a significant lead by being home to the two fastest supercomputers; the United states comes in fourth (behind Switzerland) with its Titan machine. Supercomputers have the potential to transform law enforcement, national defense, scientific research, and even human life expectancy. The first nation to break into the exascale will be far ahead of the rest.